Roque Quiamba opens, Eddie Barna 3-bets and Quiambao calls. Barna snap-shoves the Jack-high flop and Quiambao celebrates as he announces a call and turns over a set of Jacks. Quiambao has Barna covered and Eddie earns $10,423 for his 13th place finish. 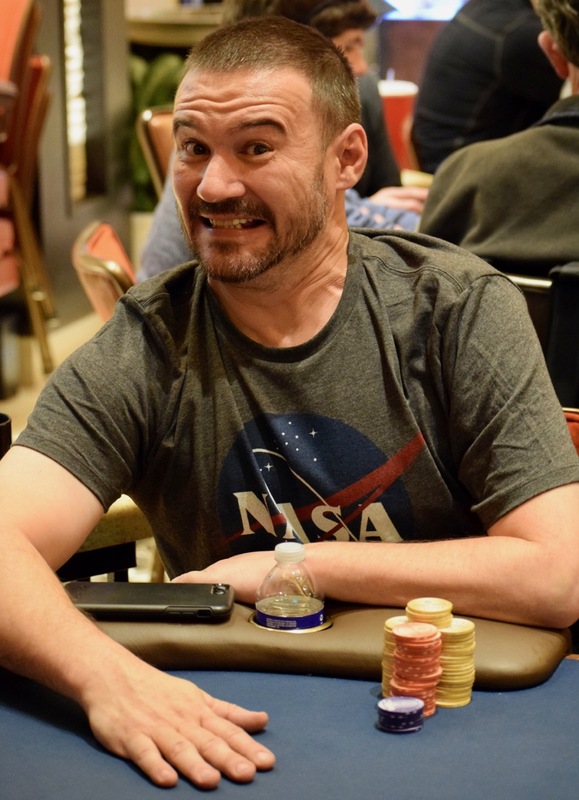 Eric Matulis was eliminated by Quiambao a few hands before this in 14th place, also cashing for $10,423. Matulis ran Ace-Nine in to the pocket Nines of Quiambao. Three more eliminations until play ends for the night.